Kitta Sjoni is a troubled teen, but not in the usual sense. Plagued by visions of 10th Century Viking marauders is only a tip of the problems she faces. Killing a curse and taming the beast within—that’s her goal, but can she survive the test?Bjornolf Jorgenson, beleaguered by marauder nightmares, is drawn to Kitta, the clone of the girl from his visions. She’s the only one who doesn’t shy away from his uncontrollable rages, but she draws trouble like a sponge soaks up unmanageable spills. What is his real connection to the spunky teen and can he help her, like she wants to help him before it’s too late? Emily Rundle’s curious nature causes her big problems when she moves with her family to Florida. First of all, she’s different. Really different. Then the nightmares begin. The kind she can’t escape. Somehow she has to unravel the mystery of the ghosts who plague her before it’s too late.Michael Shipley just moved to town, too, and realizes at once Emily is trouble with a big T. If he becomes involved with her, his life will change forever. Premonitions he has that Emily’s life will be in danger forces him to make a stand to protect the girl who’s gifted with extraordinary abilities like him. They instantly bond as the two weirdest kids in school. Both Michael and Emily have past histories, painful memories they’d rather forget. Faced with dangerous new challenges, they must overcome their past, threats at school, bullies in the flesh, and ghostly apparitions bent on a deadly game of revenge. What was once a simple matter, discover the secrets of the ghosts and appease them, becomes a race against time as Emily and Michael fight the evil that threatens to conquer them. 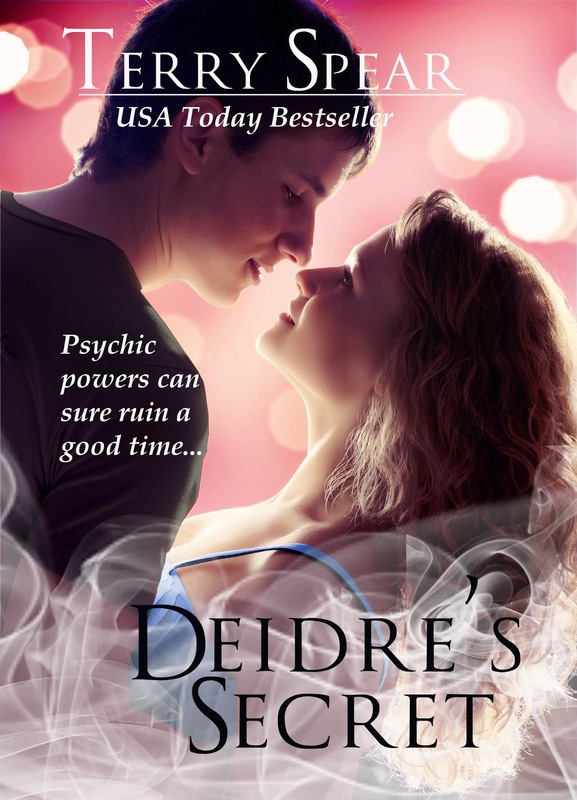 When Deidre Roux has premonitions of danger, watch out! Faced with thwarting bank robbers and protecting others from the high school bully, she must reveal her secret to her new friend, Mark Cummings. Can she convince him that she truly sees a world of imminent danger headed their way before it’s too late? Not only must Mark deal with Deidre’s premonitions, which he has a hard time believing, but his convicted uncle has returned home.Humor, suspense, and conflict rule the day as Deidre’s crazy aunt tries to do a true crime story on Mark’s uncle. Deidre attempts to keep her aunt out of it before she gets mixed up in the much darker business of robberies and murder-her own, if she’s not careful.